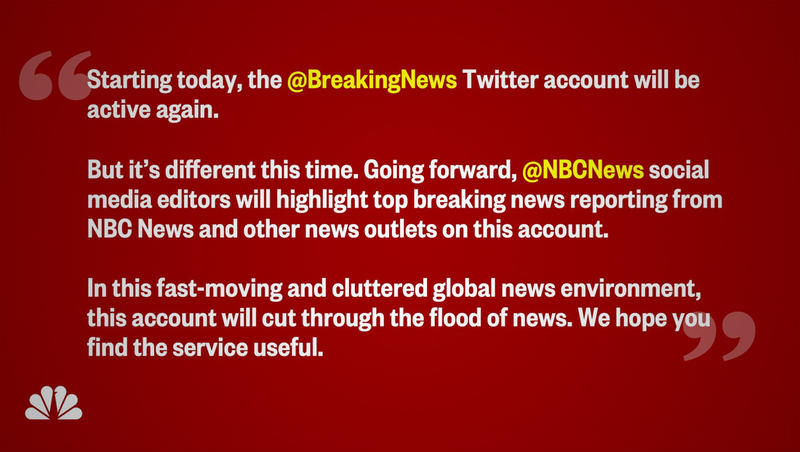 NBC News has announced it will re-activating its appropriately named @BreakingNews Twitter account — though with a bit of a different approach. 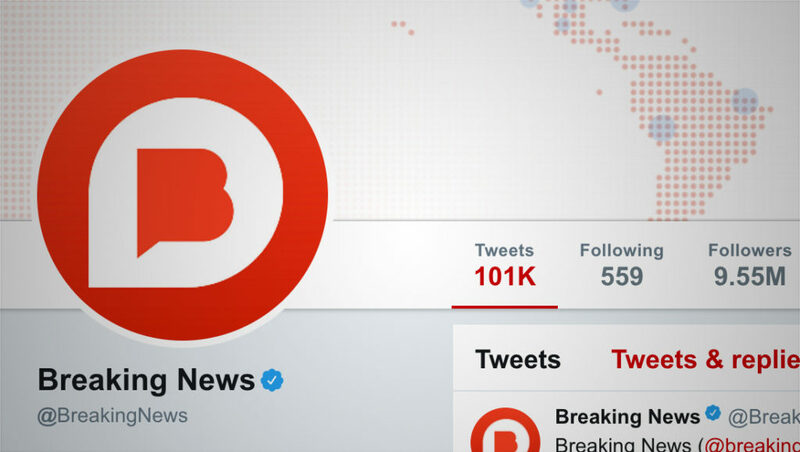 According to an image posted on the account, @BreakingNews will now be run by the NBC News social media team to curate and spotlight breaking news from both NBC and other sources. “In this fast-moving and cluttered global news environment, this account will cut through the flood of news,” the message reads. NBC previously acquired the BreakingNews.com domain, the @BreakingNews Twitter handle and Breaking News brand in 2012, but shuttered the site and Twitter feed Dec. 31, 2016 — though it held on to the valuable handle and domain. In this iteration, NBC will not offer a companion website, but instead refer traffic to its own web properties, including NBCNews.com, or other publishers’ sites. The domain BreakingNews.com, meanwhile, has forwarded to NBCNews.com for some time. Along with the new announcement, NBC has dropped the “B” speech bubble icon in favor of a simple white NBC peacock logo set against a red background — which appears in a slightly deeper shade than used before.